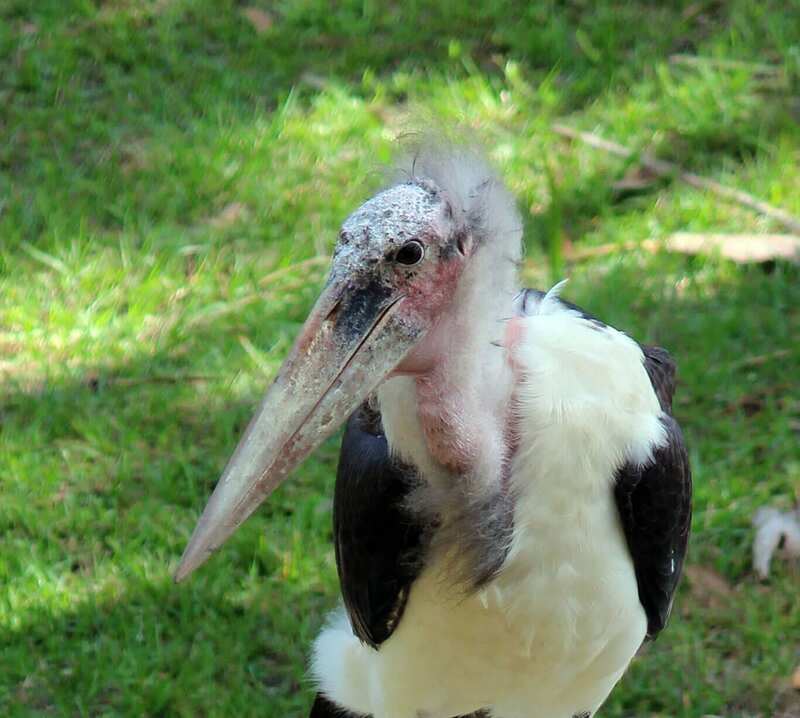 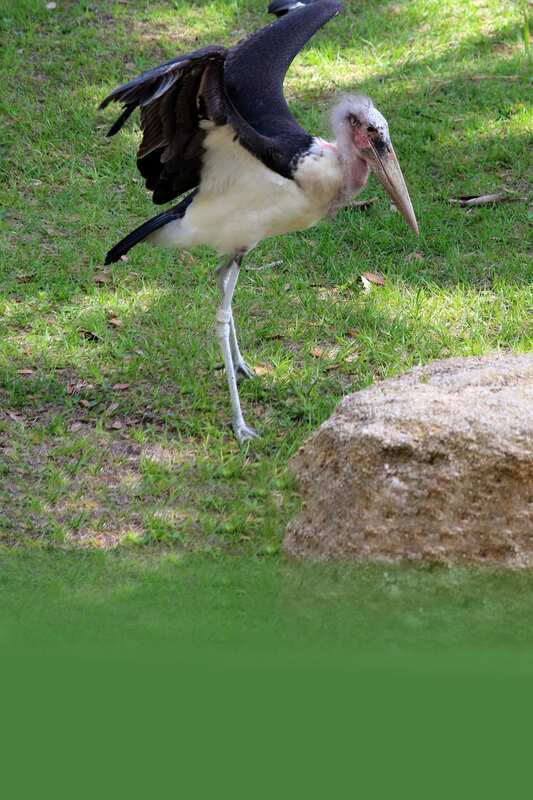 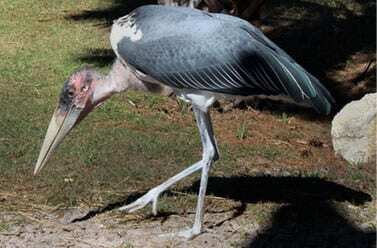 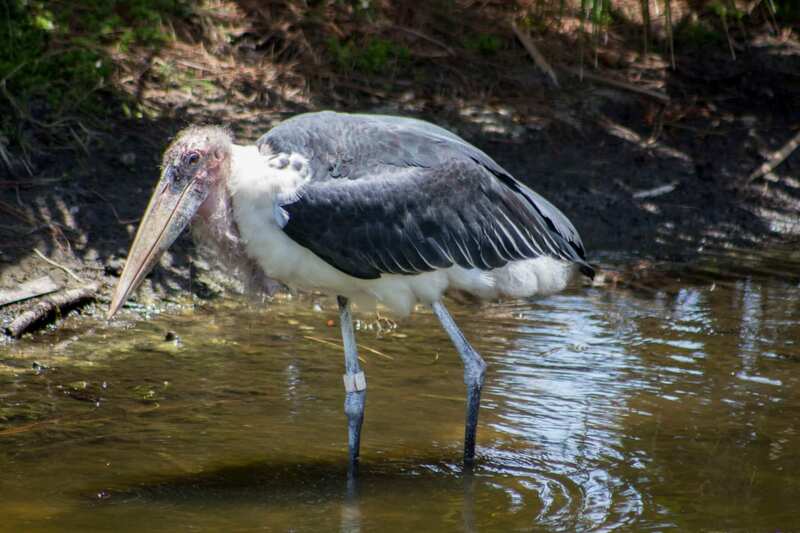 A face you won’t forget: marabou storks are enormous, distinctive-looking scavengers found throughout much of Africa. Because water levels are lower and food is easier to find, marabou storks nest during the dry season. 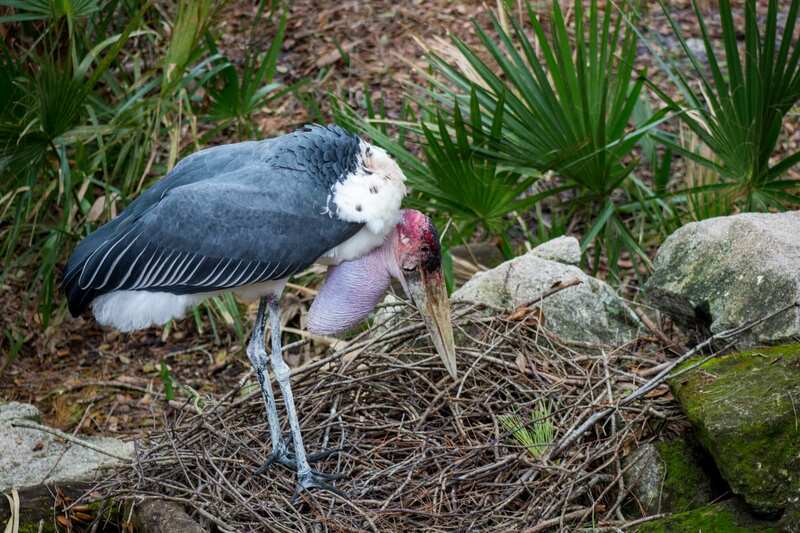 Like vultures, these birds have “bald” heads because they feed on carcasses, often sticking their heads in.